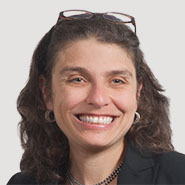 Elena C. Norman, partner in Young Conaway's Corporate Counseling and Litigation Section, will be participating in a panel discussion entitled, "What Business Lawyers Should Know About Intangible Asset Valuation," sponsored by the ALI-CLE. This webinar course examines business scenarios in which valuation of intangible assets may be required. Various methods used to ascertain the value of these assets will also be reviewed during the program.